A Turkish court on Tuesday (4 December) rejected an appeal by jailed pro-Kurdish leader Selahattin Demirtaş against his conviction for “terrorist propaganda”, his lawyer said, in a fresh blow to the prominent politician considered a potential rival to President Recep Tayyip Erdoğan. Demirtaş, a former co-leader of the Peoples’ Democratic Party (HDP) who remains an influential and popular figure in the Kurdish movement, is facing multiple criminal proceedings and his pre-trial detention was last month slammed as politically motivated by a European rights court. He was sentenced to four years and eight months for disseminating “terror” propaganda in September, a ruling upheld by the court in Istanbul in Tuesday. The decision, which was announced on Twitter by his lawyer Mahsuni Karaman, follows a ruling by the European Court of Human Rights (ECHR) on 20 November that called on Turkey to release Demirtaş. Turkey’s main pro-Kurdish opposition party said yesterday (20 February) it had appealed to the European Court of Human Rights over what it said was the unlawful imprisonment of its two leaders on terrorism-related charges. Karaman said the European ruling had given Turkish authorities an opportunity to “easily rule to release (Demirtaş) in the case where he remains under arrest and say, ‘look we followed the ECHR decision’. 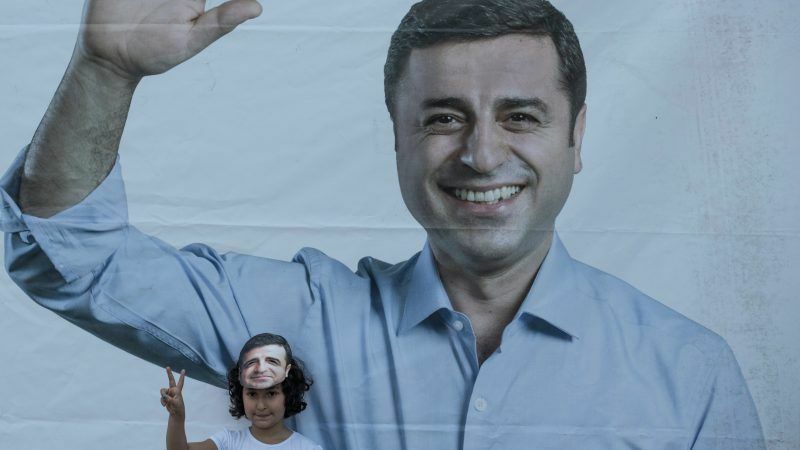 Demirtaş rose to prominence with a charismatic performance in 2014 elections won by Erdoğan. Demirtaş ran again in the last elections in June 2018 from his prison cell. Analysts see the politician as one of the few figures in Turkey who can match Erdoğan’s rhetoric and could become a dangerous rival for the president. The Strasbourg-based ECHR ruled Demirtaş’ imprisonment had been aimed at “stifling pluralism and limiting freedom of political debate”, calling for his release from the pre-trial detention. He has been held since November 2016 pending his trial on charges including managing a “terrorist organisation” and “inciting others to commit crimes”. He could be jailed for 142 years if he is found guilty. Erdoğan, who has rejected the European court ruling, regularly accuses the HDP of being a political front for the outlawed Kurdistan Workers’ Party (PKK), which has waged an insurgency against the Turkish state since 1984. The PKK is proscribed as a “terrorist” group by Ankara and its Western allies. The HDP denies the accusations and says it is being targeted because of its opposition to the government.